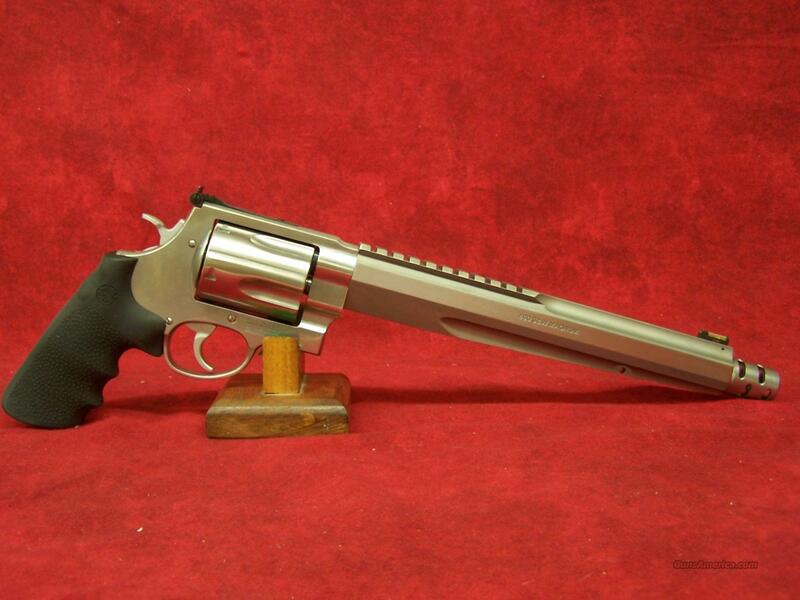 Description: Smith & Wesson 460 XVR Performance Center .460 S&W Mag(170262)File Photo. This pistol is brand new in the S&W Soft Case. It comes with a Sling and swivels. It has a 10.5" barrel, 5 round cylinder, integral weaver style base, and interchangeable front sight.